Father's Day is on the 17th of June this year, which is also my partners birthday so I will have to get him something extra special this year. I don't know about you but I always struggle buying Father's Day gifts as the shops just seem to be full of mugs, pint glasses and socks and there is only so many of those that one person needs. If you too are struggling with what to buy your dad or partner this Father's Day then I have just the giveaway for you. To celebrate Father's Day on Sunday the 17th June 2018, one lucky reader can win a £100 voucher to spend online at www.frederickthomas.co.uk. 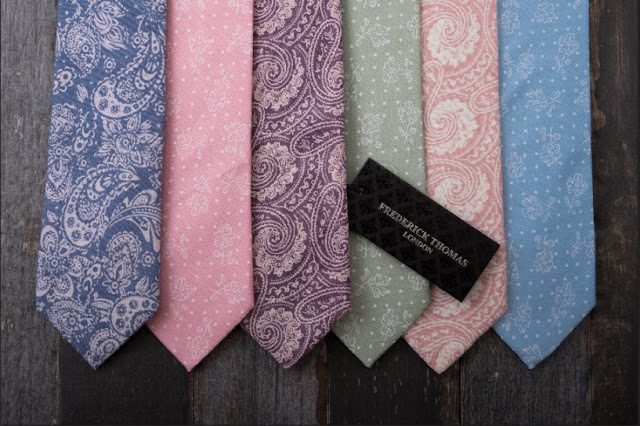 Fredrick Thomas stock ties and cufflinks that will really help to jazz up your dad's wardrobe, think fun dinosaur or skull printed ties or something a bit different with textured wool, tweed, linen or knitted ties. They have a huge range of fun cufflinks too such as racing cars, animals or initials that are sure to bring a smile to his face. Frederick Thomas London also stocks pocket squares, socks, bags and accessories so there is sure to be something to suit the men in your life. With an upcoming wedding to plan it sounds like the perfect place for us to stock up on groomswear for the big day. As a special Fathers Day deal, Frederick Thomas London is offering each reader a £10 voucher to spend at www.frederickthomas.co.uk. Just enter the code FATHERSDAY22 at the checkout. To be in with a chance of winning a £100 Voucher to spend at Frederick Thomas online simply fill in one or more of the entry options on the Rafflecopter form below. T&C's do apply, please see below. Good Luck. T&C's This competition is open to UK residents aged 18 + only. One winner will be selected at random from all correct entries received by the closing date of 13th June 2018. There is no cash alternative and no change given from amounts not spent on the voucher. Winner will be notified via the email address provided within 24 hours of the giveaway ending. The winner has 28 days to claim the prize before another winner will be selected at random. The £10 voucher code for all readers expires on 18 June 2018 and can not be applied to existing promotions. Please note any information entered will remain private and will not be shared with anyone. I really like the penguin cufflinks. I love their PINK TWEED WEEKEND BAG AND MATCHING TWEED WASH BAG! I really like the checked ties, especially the blue and white one. Has to be the BLACK CHECK TWEED WEEKEND BAG AND MATCHING WASH BAG it's very posh! I like the checked ties and the cufflinks. I like the Rubber Duck socks, but they'd be too big for me! I like the giraffe socks. I would put it towards the olive green overnight bag and wash bag. My favourite is the bicycle tie. I love the silver style chess piece cufflinks, I know my hubby would love these. Thanks for the lovely giveaway. I like the socks, the BLUE MEN'S SOCKS WITH RUBBER DUCK DESIGN is very quirky! There are many great ties to pick from, a smart tie always adds to a smart suit. I love their floral sage ties, would love them for our wedding. I love the brown windowpane tweed weekend bag and matching wash bag. The Polar Bear Tie is my favourite item! I love the skull and crossbone socks! I think think the grey tweed bag is fabulous. 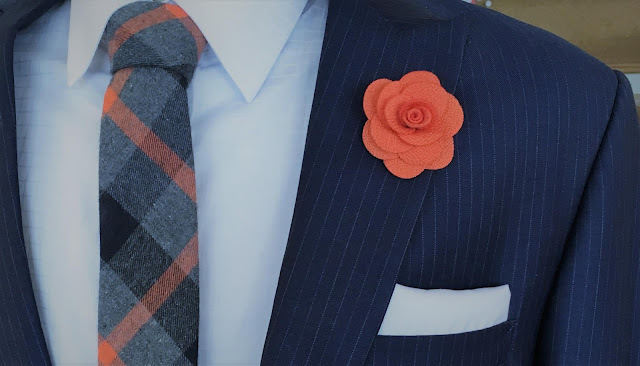 Masculine and stylish but still classic and trendy at the same time. I like the socks based on the Scream painting. Thanks for running this comp. I love the penguin cufflinks! They're so cute! The navy ties featuring swallows, rabbits, stags and cheetahs are very nice and would be a lovely gift for my Dad. I love all the funky socks. I really like the lapel pins. I like the flower ones, and the Stag's head one. I love the overnight bags. The colours and textures of these ties are very modern - they really stand out! T-rex navy blue tie is the best tie i have ever seen! My favourite item is the grey, black and yellow striped men's socks.